Appam is the favorite dish of Lord Ganesh and is a common prasadam for Sankashti and Ganesh Charthurthi, janmashtami and navrathri ..This dish is mildly sweet.Easy to prepare and nice to taste. 1.Soak the Rice separately in water for 2 hrs and Grind soaked rice adding little water till soft. Note:This can be relished even when it is hot. Also you can store this Appam in room temperature for upto 2 days.Without adding coconut it can stay good for up to 4 or 5 days. 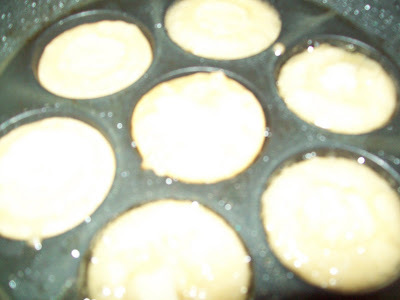 Adding bananas makes the Appam soft. Thank you for the lovely sweet appam. I remember one of my colleague getting the same in the office. Now I can try the same, thank you for sharing. Dear requesting you to sent the picture of the dish in future. 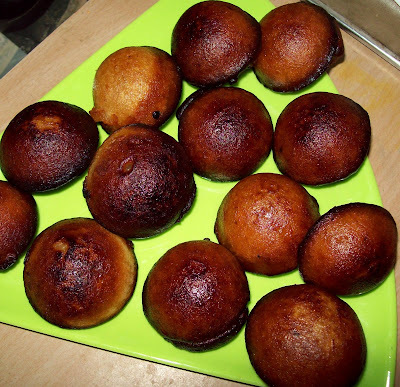 Sweet appam looks mouthwatering and tempting.Thanks for sharing. Hope you had a great Ganesh Chaturthi dear! Hey Jaishree, r u from kerala. I love this vellappam. My patti makes this very often. 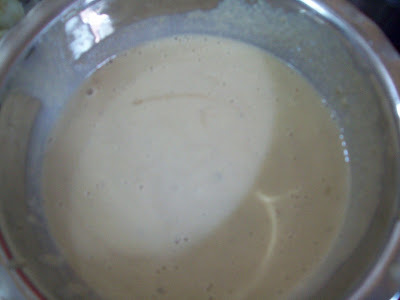 She also make uppu appam along with this. looks cute and yummy..v call it as godda appo in konkani.....lovly entry. Thank you sripriya; you can prepare it i wheat flour also taste will be the same. Thankyou vidya iam not from kerala iam tirnelveli iyer. welcome here sagariand thanks for dweet comments.